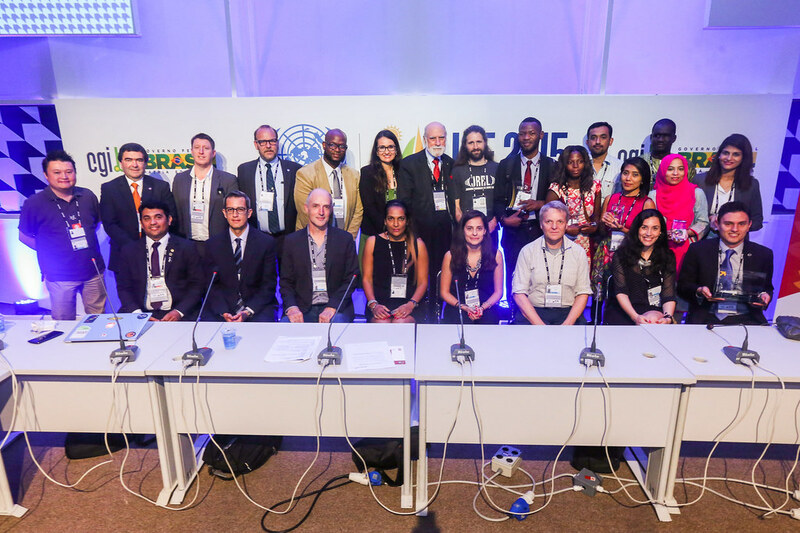 The three winners of the 2015 FIRE Africa Awards received a travel grant to attend the Internet Governance Forum (IGF) 2015, held in João Pessoa, Brazil from 10-13 November. We catch up with Florence Toffa (Code for Ghana), Tidiane Ball (Malisanté) and Chancel Malanga Mathoy Mata (Côte Na Tshombo) during their busy week to find out more about their projects and how their US$ 3,000 FIRE Africa Award will help their projects. Code for Ghana brings developers, journalists, and civil society together to create a network of civic-minded activists who use their knowledge and voices to make the local government system better through open data hackathons, trainings , and data visualisations. Tell us how this project impacts Internet access and development in your country? Citizens and CSOs need to understand the language of government and be able to engage or take decisions appropriately. Releasing raw data to the public enhances this dialogue. Code for Ghana seeks to empower media organisations and the youth through the organisation of data bootcamps to share knowledge on open data tools and demonstrate the value of open data to the broader society. We also build civic apps that keep citizens well informed about government activities. How did the FIRE Africa help your project by giving you this Award? FIRE Africa has supported us to a significant extent with seed money that helps us to sustain the core component of our fellowship program and, more importantly, given us the opportunity to attend the 2015 IGF Conference which has given the project great visibility and enabled us to connect to various stakeholders/partners. Further, the Fire Programme can help us grow Code for Ghana and the open data initiative through enabling us to expand our networks, through mentorships and allowing us to scale the project in other regions/countries. Malisanté is a medical information platform for the people of Mali. To achieve its goal, Malisanté uses web and mobile technology. The available information includes medical facilities' addresses, and healthcare professionals contact details. Malisanté est une plateforme d'information médicale destinée aux populations maliennes. Pour ce faire nous utilisons la technologie web et mobile. Les informations accessibles sont les adresses de structures médicales, des professionnels de la santé. English: How did the FIRE Programme help your project by giving you this Award? "Firstly, the FIRE Award gives us a lot of visibility. It is also a recognition of the work we have accomplished over the past years. The Award will also enable us to establish our voice server in the rural population areas and move on to the next level of our project. For this, we rely in building partnerships with community health associations, to which the state has delegated some of its powers." Francais: Expliquez nous comment le Programme FIRE a pu contribuer au succès de votre projet? Ce prix nous apporte d'abord de la notoriété. Il est aussi pour nous une reconnaissance pour le travail accompli durant des années. La bourse nous permettra surtout d'implementer notre serveur vocal à l'endroit des populations rurales donc de passer a une étape supérieure. Pour cela, nous comptons tisser de liens avec les associations de santé communautaires à qui l'Etat a délégué une part de ses pouvoirs. English: How did the FIRE Award contribute to the project? - Develop and promote the adoption of innovative applications and services supporting the awareness of fundamental rights of individuals and strengthening trust between organisations and individuals in the region. Français: Qu’est ce que le FIRE Award va apporter au Projet ? - Développer et favoriser l’adoption d’applications et de services innovants, soutenant la sensibilisation aux droits fondamentaux des individus et en renforçant la confiance entre les organisations et les personnes dans la région.